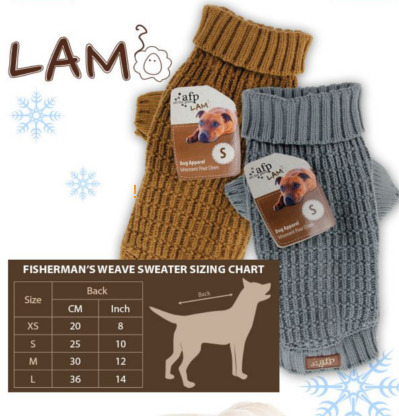 For your dog this fisherman's weave sweater is the clothes which should never miss. Made from yarn it makes everybody a winner. This stylish sweater will make your dog feel fuzzy warm and comfortable. The fisherman's weave is the classic style that will never be outdated.